UAE houses spectacular to simple mosques where the devotees pray, reflect, study and offer sacrifices. Many of the mosques reflect a fusion between traditional and contemporary design and architecture. Several tourists come to see the ornate and beautiful mosques each year. 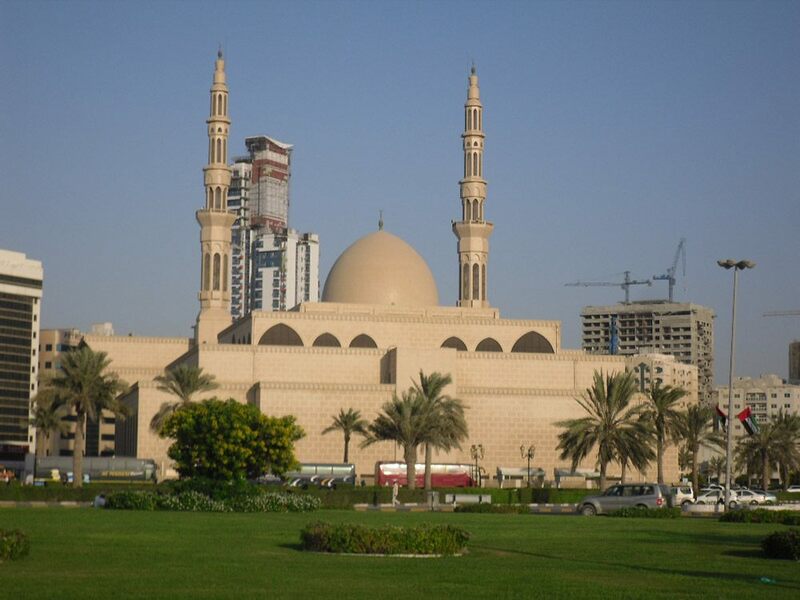 There are mosques galore spread throughout the seven emirates. UAE prides itself in carrying the essence of Muslim roots in the midst of tall skyscrapers and modernity in its culture. 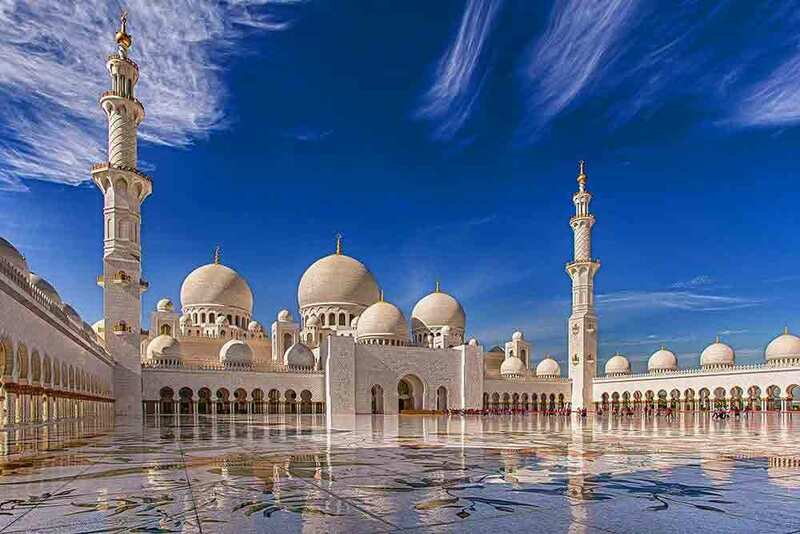 We have listed some of the most beautiful mosques in the UAE which definitely deserves your attention when you are on a holiday here. This is one of the largest and the most attractive mosque in the world. 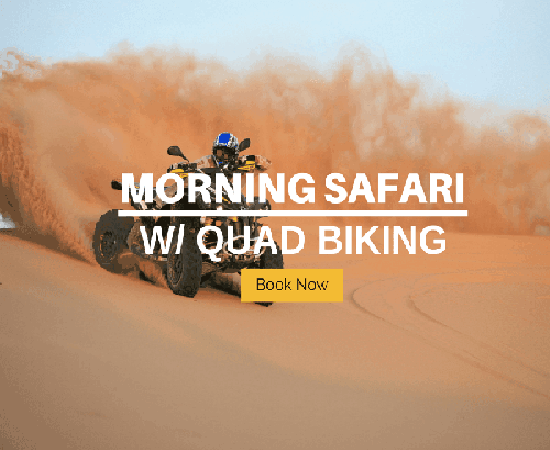 Accessible to both the Muslim and the non-Muslim population. The females are expected to cover their head before entering the mosque premises. Oozing with opulence and elegance, this mosque is a unique blend of modernity and tradition. It has an internal capacity to accommodate 40,000 worshipers at one time. On records, this is the oldest mosque in the UAE which was built in the year 1446. Even after completing nearly 6 centuries of existence, this classic mud and stone architecture still carries the charm and elegance of a divine prayer center for the Muslim faith. One of the must-see attractions in the Emirate, this mosque is popularly also known as the Ottoman Mosque. Restored twice, once in the year 1952 and then in 1999, this Grand Mosque is one of the oldest mosque built in the Emirate. Placed in the heart of Old Dubai, the Grand Mosque is nestled between several cultural attractions like the Grand Souq and the Ruler’s Court. We would recommend you to visit the mosque in the night when it is lit up with vibrant colors. The Al Farooq Omar Bin Khattab Mosque or the Blue Mosque is the largest mosque in Dubai with a capacity of 2000 devotees. Opened in the year 2011, it is placed in the lush landscape of the Al Safa area. Inspired by the historic Blue Mosque in Turkey, the mosque exterior features a wonderful mix of Ottoman and Andalusian styles. The interiors were designed Moorish style of Islamic Spain. The mosque features an extended community center, a madrassa, a public kitchen, a bazaar, and a hospital. Facilitates cultural exchange between the locals and the visitors while promoting the values of tolerance, creativity, peace, harmony, moderation, and leadership. One of the best places to get a deeper insight into Islamic culture and heritage. Placed on the banks of the Dubai Marina, this Mosque lits up in blue and white in the evenings mixing well with the façade of the Dubai Marina and the neighboring tall apartment buildings. The very sight of this beautiful mosque will leave you awestruck and stunned. The Mosque is easily recognizable due to its distinct structure and brightly lit minarets. 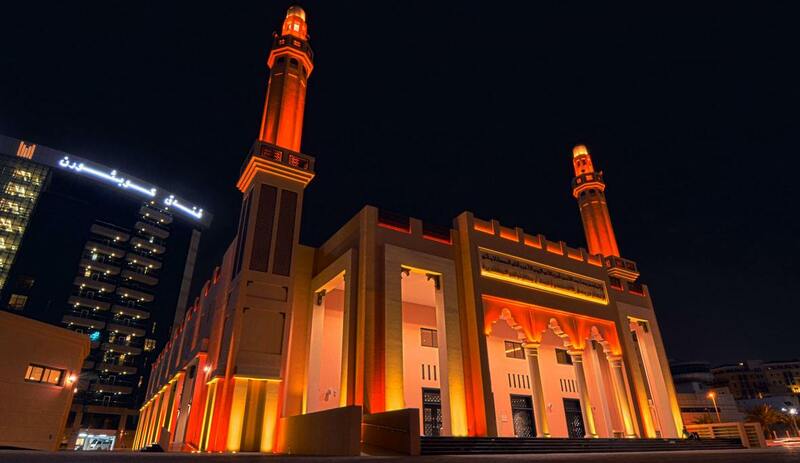 This is one of the new mosques in Dubai and was inaugurated by His Highness Shaikh Mohammed bin Rashid Al Maktoum, the Ruler, Vice-President, and the Prime Minister of Dubai. Inspired by a modern blend of Andalusian and Ottoman designs, this mosque should be on top of your list of the beautiful mosques to visit in the UAE. The Khalifa Al Tajer Mosque or the Green Mosque was built in the year 2014. It cost Dh20 million for constructing this simple Bedouin Emirati architecture. 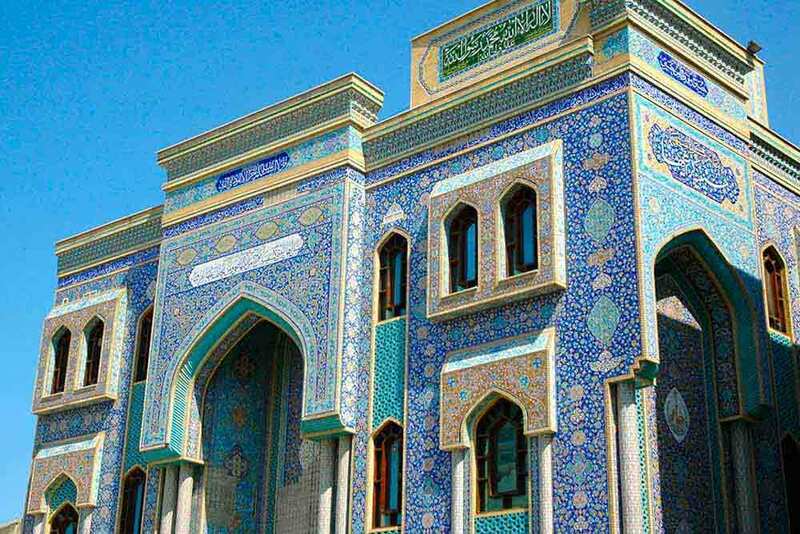 This is the world’s first eco-friendly and smart mosque. Spread over an area of 45,000 square feet, this mosque has an internal capacity to accommodate 3,500 devotees at one time. Built with environmentally friendly raw materials, renewable energy solutions has been incorporated into its design. It integrates cutting-edge green technology that includes sensor-operated water mixers that promote energy efficiency. 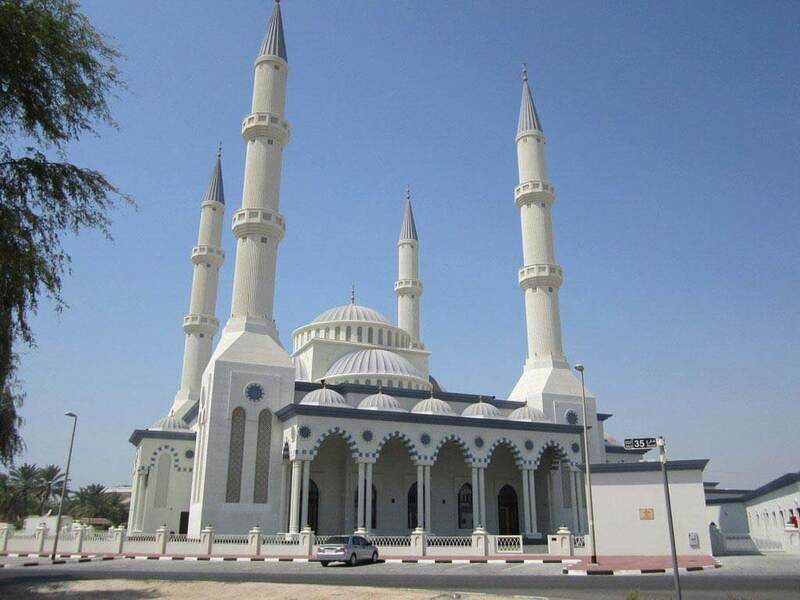 One of the most photographed mosques in Dubai, this is the first mosque in the UAE which welcomed non-Muslim visitors. The Sheikh Mohammed Bin Rashid Center for Cultural Understanding promotes cultural tours for the tourists for about 75 minutes from Saturday to Thursday at 10 am. No prior reservation is required, but the visitors and guests are requested to reach the mosque by 9:45 am to avoid any delay for other guests. 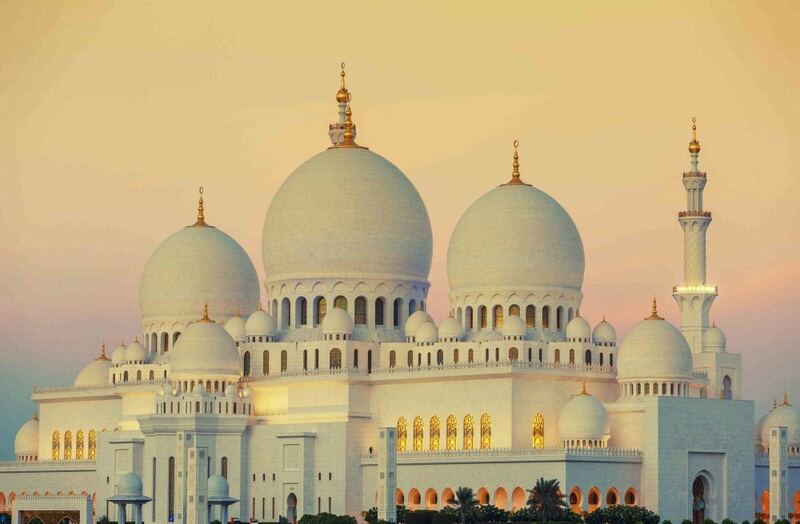 The medieval Fatimid style exteriors feature white minarets and domes with intricate detailing. The prayer hall roof rests on several columns. This is one of the two Iranian mosques in Dubai that are ornately decorated. Built in the year 1979 with the support of the Iranian Red Crescent, this mosque features a popular façade filled with a rainbow of vibrant colors, with blue being the most dominant color of the lot. This is one of the most popular and mosque among locals and tourists alike in the Emirate where the non-Muslim population is welcomed. Towering above the Corniche along the coast, this mosque is one of the most beautiful structures ever built in this Emirate. Inspired by Turkish Ottoman architecture and features 34 cascading domes. The construction of this mosque was completed in 2005 by the order of Shaikha Jawaher Bint Mohammed Al Qasimi, the wife of the Ruler of Sharjah. There is a separate ladies section in the mosque which can accommodate 400 ladies at one time. In 2014, this beautiful mosque entered the Guinness World Records for being the largest wooden charity box in the world, which was set as a part of their Ramadan donation campaign. 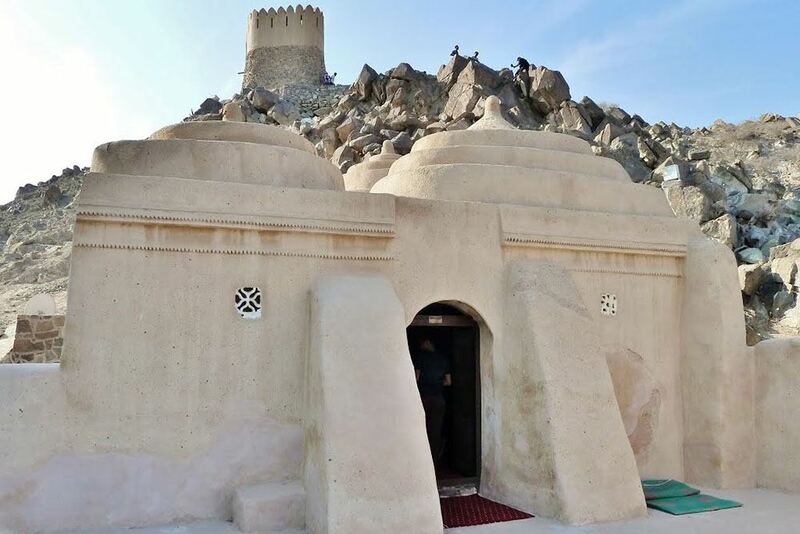 This popular mosque features on the Dh5 bill and is said to be one of the oldest mosques in the UAE after the historic Al Badiyah Mosque in Fujairah. 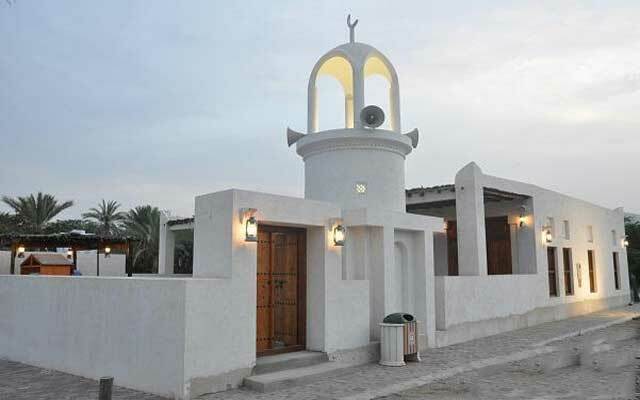 Placed 20 meters from the coast of Khor Fakkan, this mosque is known for its simplistic style and design. 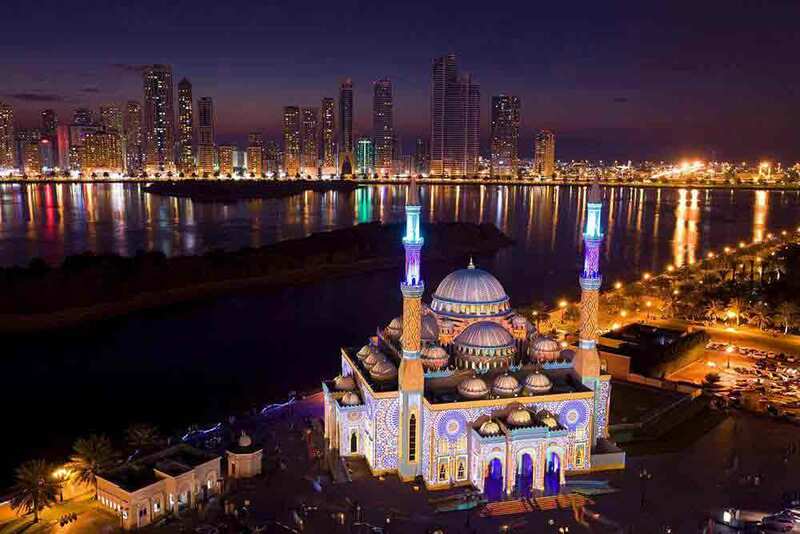 One of the largest mosque in Sharjah which can accommodate close to 17,000 people. 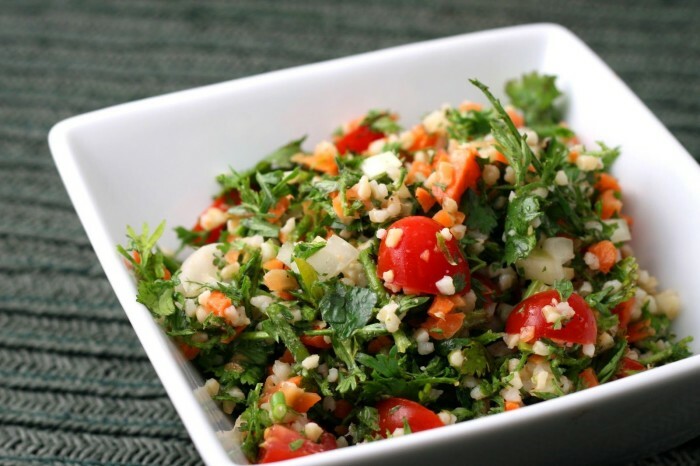 It is named after King Faisal bin Abdul Aziz Al Saud, who was the former ruler of the Kingdom of Saudi Arabia. 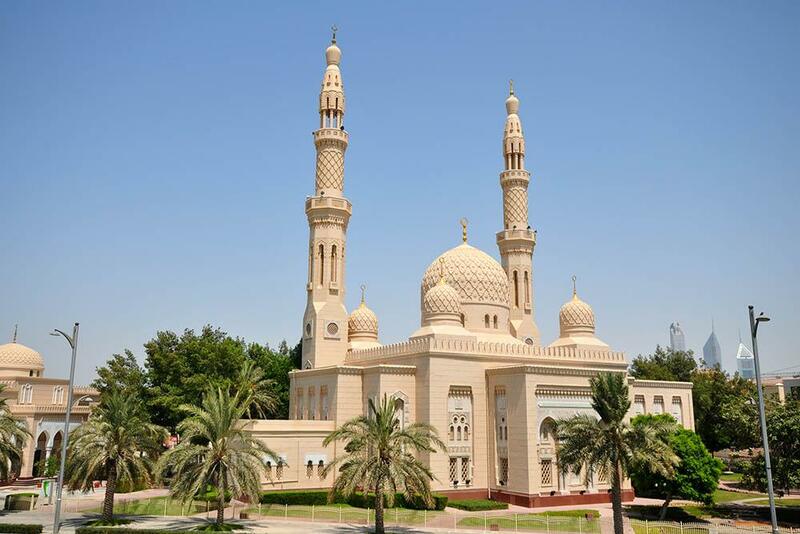 This beautiful mosque was built in the year 1984 in the heart of Sharjah over a sprawling area of 12,000 square meters and is easily accessible. The mosque hosts lectures at night during each Ramadan on how to pray, Hadith, Fiqh, and Aqidah. This beautiful mosque features three floors and a basement that is dedicated to the Women’s mosque and its own library. 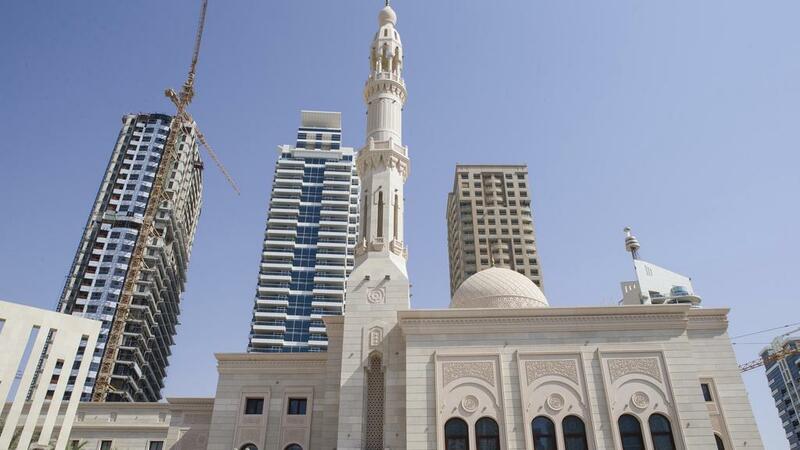 The ground and 1st floors are dedicated to the Men’s mosque, while the 2nd floor features a 7,000 book Library and offices of the Sharjah Department of Islamic Affairs and Awqaf.